St Patrick’s Day is a holiday just meant for Seattle. The Northwest is an ideal climate for cozy Irish pubs and there are many located in Seattle, Tacoma and cities in between. There’s nothing like warming up with a Guinness. If you want to get out and do something more active than tip back a beer, don't miss Seattle's St. Patrick's Day Parade, and there's also an Irish festival and often a run or two in the lineup too. Each St. Patrick's Day (or sometimes on the nearest weekend), Seattle puts on one of its best parades. Bagpipers, pirates, drill teams, Irish dancers, bands, and more all march past onlookers. The parade route follows along 4th Avenue at James Street and ends at Westlake Park (on 4th Avenue at Pine), and usually starts around 12:30 p.m. Get there early to get a good spot. For 2019, this event is March 16. This run covers about four miles of ground and encourages everyone to participate, whether you want to walk or run. The mood is light with racers often dressing in costumes, so you’ll be running (or watching) leprechauns and Guinness cans jog by. 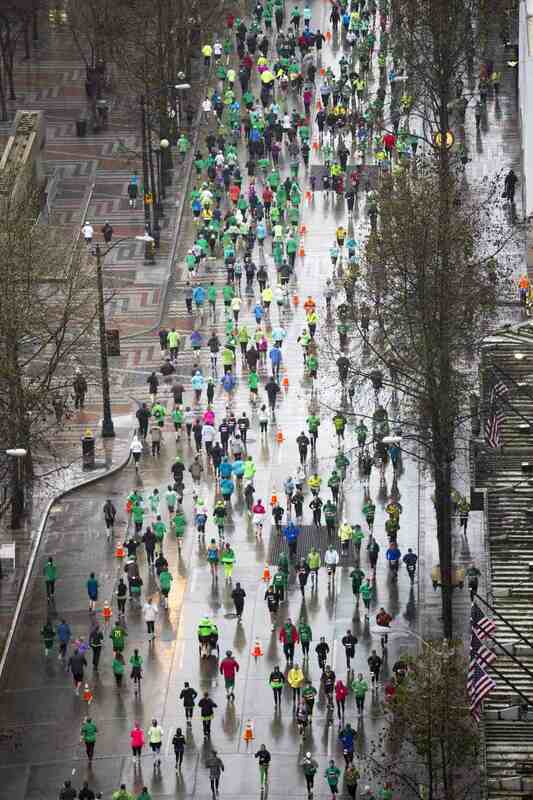 Most runners at the very least wear green to get into the spirit. The run begins and ends at Seattle Center. For 2019, this event is March 17. Seattle Center hosts Festal festivals throughout the year. Each festival highlights a culture by inviting in crafters and vendors related to the chosen culture, dance and performances, and food. The Irish Festival is a fun and family-friendly way to enjoy St. Patrick's Day and add a bit of cultural learning into the mix. Expect visual arts, performances, a marketplace, genealogy workshops and more. For 2019, this event is March 16 and 17. While Tacoma doesn't have a parade or a large Irish festival, it does have a run open to varying fitness levels. There's a kids' run, 5K, 10K and half marathon, which is part of the Crown of the Sound series. The course is located in North Tacoma. Put on your finest greenery and join the fun. For 2019, the 10th annual event is March 16. There are many Irish pubs throughout the Seattle-Tacoma area. Most have something special on for St. Patrick’s Day, but at the very least, these are great places to get Irish beer and food.